Step aside Pennywise... 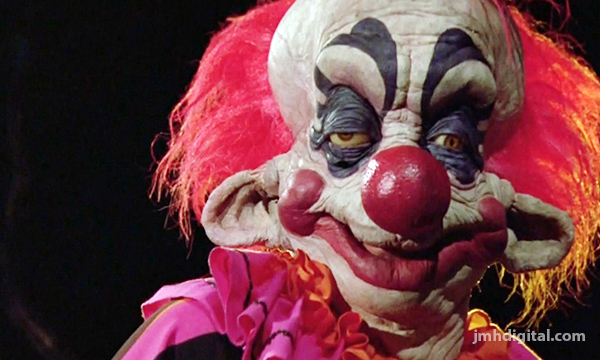 These Killer Klowns from Outer Space are outta this world - literally! - and they're packing deadly popcorn guns and cotton candy cocoons! When Mike and his girlfriend Debbie warn the local police that a gang of homicidal alien-clowns have landed in the nearby area (in a spaceship shaped like a circus big-top, no less), the cops are naturally sceptical. Before long however, reports are coming in from other anxious residents detailing similar run-ins with the large-shoed assailants. There can no longer be any doubt - the Killer Klowns from Outer Space are here, and they're out to turn the Earth's population into candy floss! 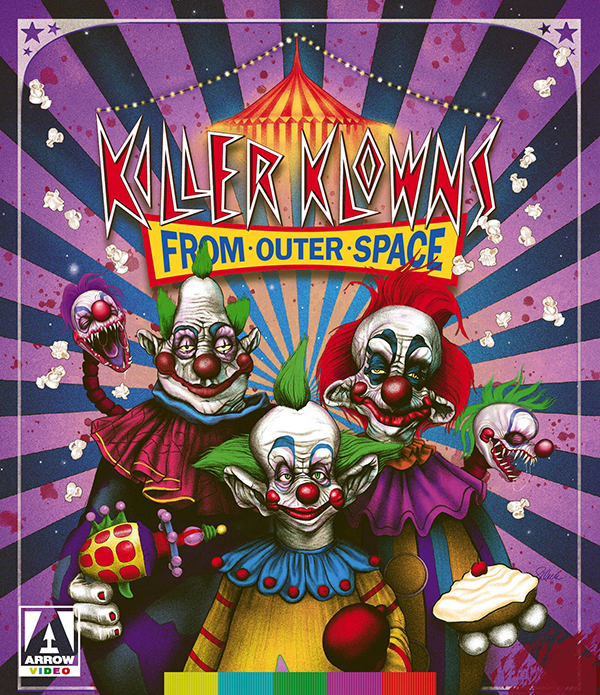 Written and produced by the Chiodo brothers - knowns for their work on a host of special-effects laden hits such as Team America: World Police and the Critters movies - Killer Klowns from Outer Space is a cinematic experience unparalleled in this galaxy, now newly restored by Arrow Video for this stellar edition.